It's actually quite normal in Germany to have two weddings. Church weddings aren't recognized as legally valid under German law, so everybody has to get married at a civil ceremony before the main event. 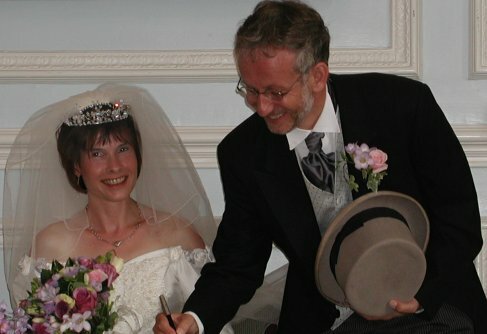 We did it that way too - with the difference that our main event was a beautiful English civil marriage at the West Lodge Park Hotel just outside London, because of David's large family in England.